The Seattle city counsel may be the first city in the U.S. to denounce Columbus day, changing the name to celebrate Indigenous People Day, but it was not the first in The Americas. 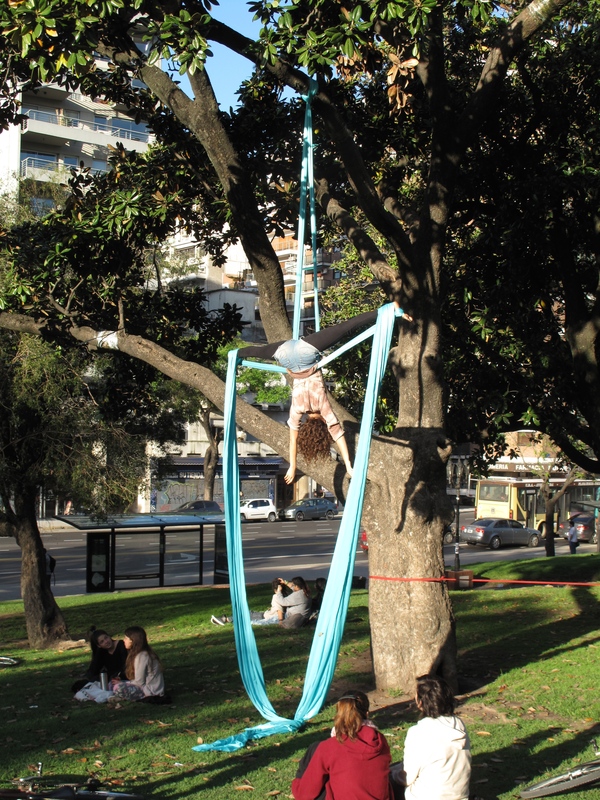 In Argentina and Uruguay tomorrow is Day of Respect for Cultural Diversity, originally the “Dia de la Raza” (English: race day – seriously I can’t make this up! ); Chile and Colombia celebrate Columbus Day while Brazil goes Catholic and is celebrating Our Lady of Aparecida day, Sorry Seattle, but Venezuela already laid claim to “Día de la Resistencia Indígena” (English: Day of Indigenous Resistance). What ever you name it, this is a three day weekend that happens to correspond with the anniversary of Columbus’s arrival in the America’s on the second Monday of October. 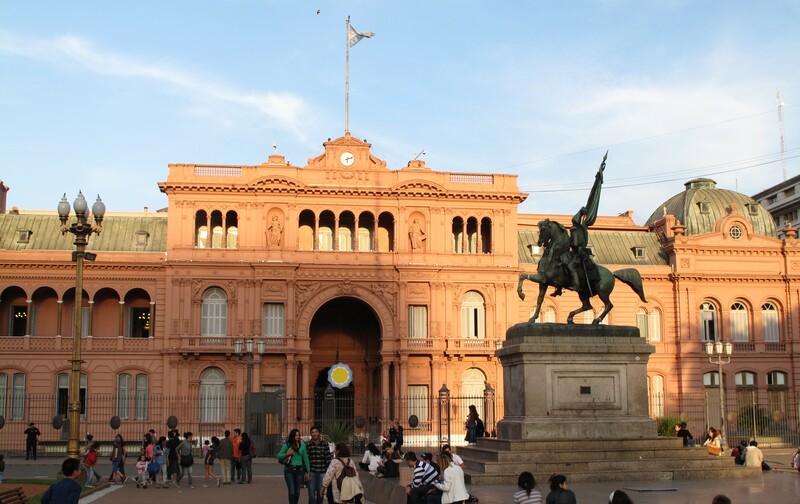 While corresponding to Columbus “discovery” many people would rather not celebrate a conquistador – like Seattle – and excited by the relatively new freedom of speech, a group of Argentinians protested outside the presidential palace. 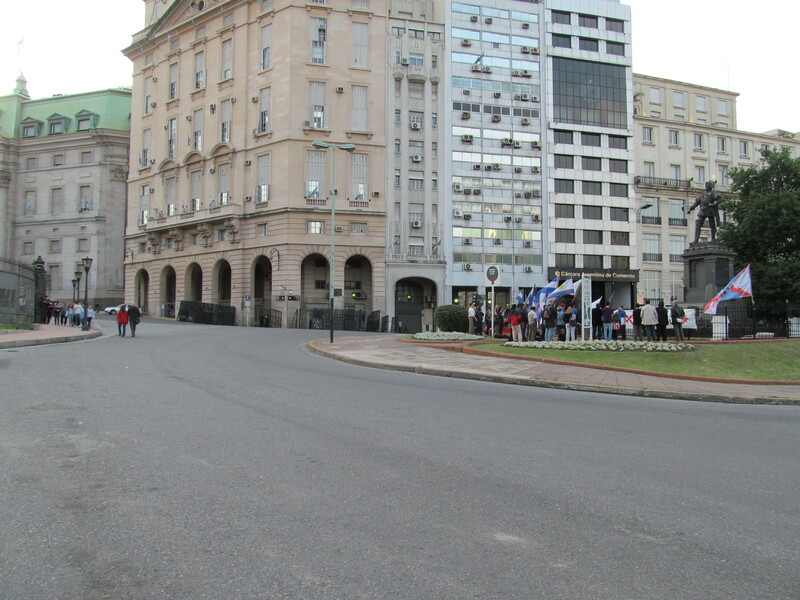 Today we saw a small – like less than 20 – group of people protesting with flags and one tiny microphone, it was cute. I say, change the name, keep the holiday, everyone loves a three-day weekend. Saturday the parks will filled with people in high spirts. The city wide good mood was because its was the first sunny hot weekend in spring combined with a three-day-weekend. 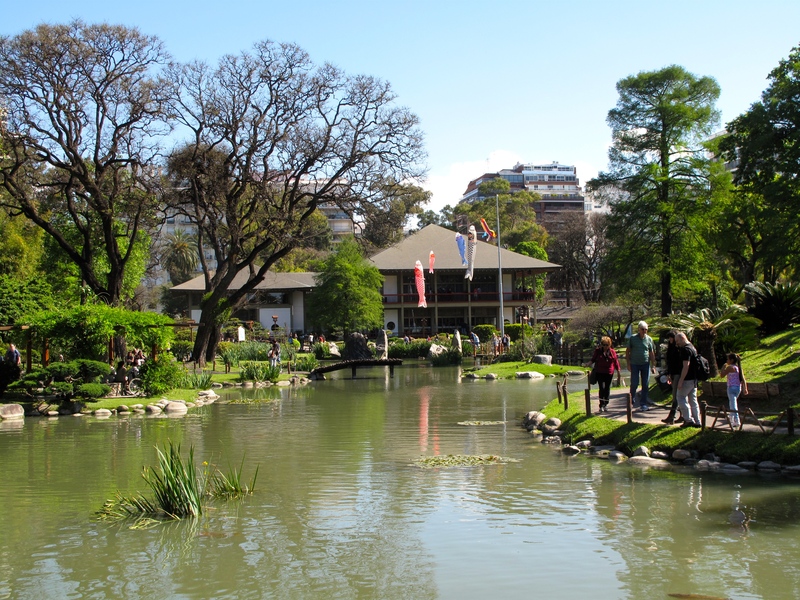 Portenos (people from Buesnos Aires) enjoy getting out to seaside resorts like Mar La Plata and Tigre, others stay in town and make the most of parks, like the Japenese Garden. 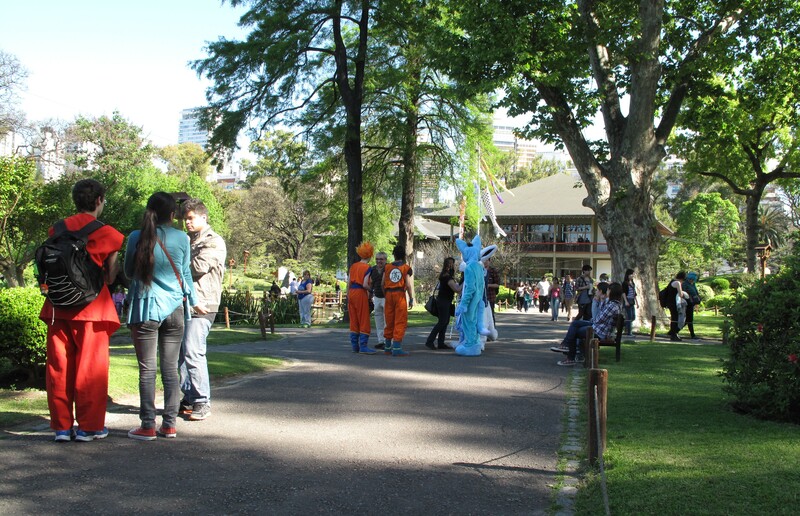 Which is hosting a Japanese Manga and Anime show this weekend – it was quite the global experience to watch a Argentinian girl singing Japanese songs in the middle of Buenos Aires. 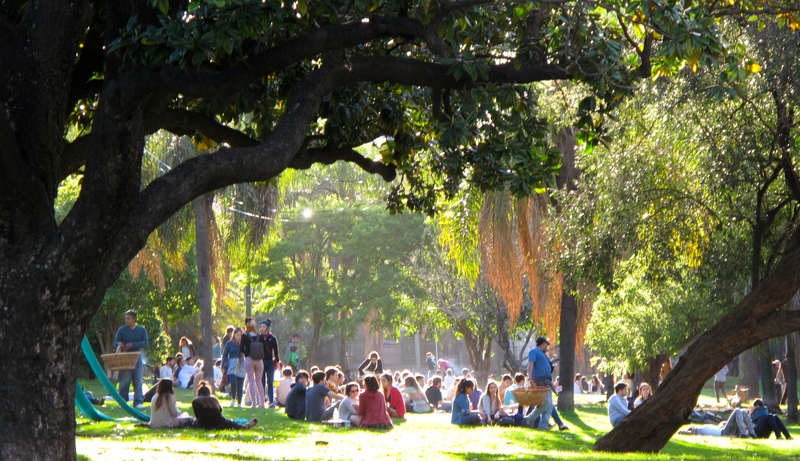 Parque Las Heras, less than 1/2 a block from our apartment, has as sunny hillside where local go to hang with friends, drinking mate, climbing trees, and reminding me of San Francisco. 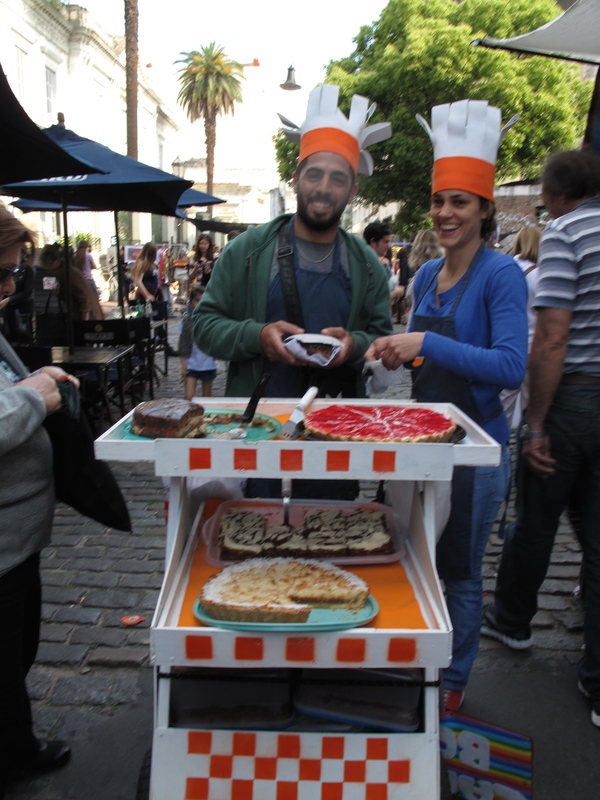 No food stands in the market, entrepreneurial bakers wheel around their goods. 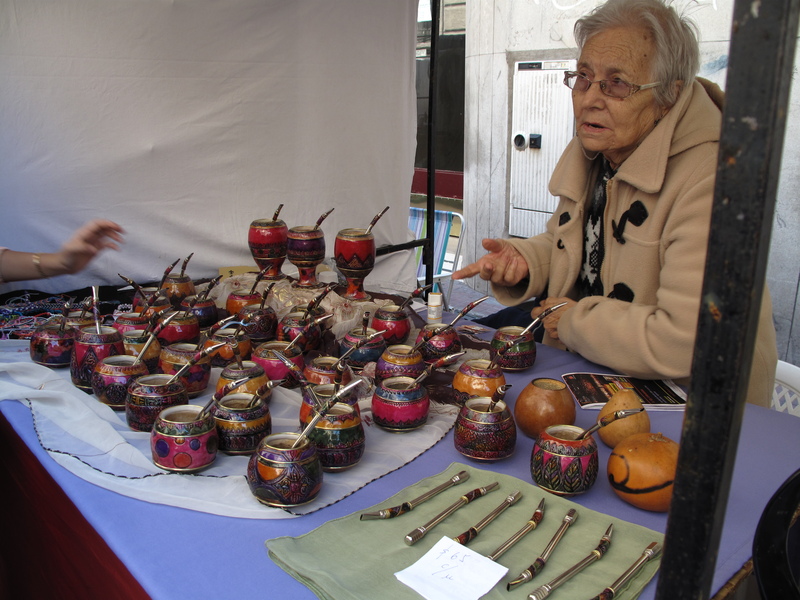 Sunday we went to the popular San Telmo Market. It was outstanding. 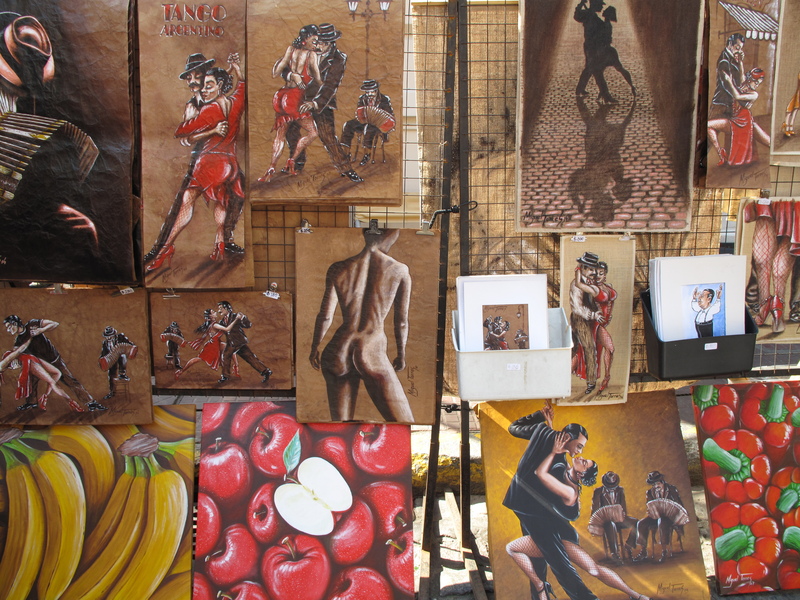 Possible the best outdoor street market I have ever been to. 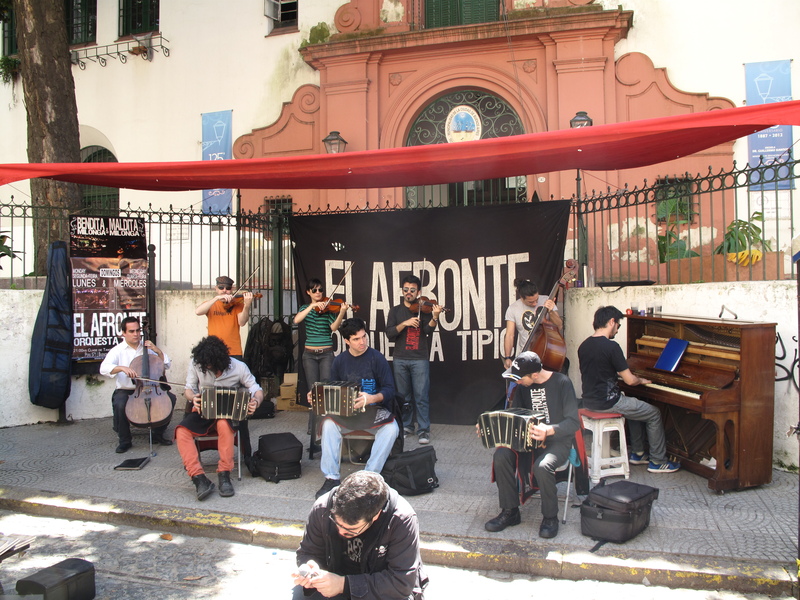 Follow Gringo in Buenos Aires for excellent information and restaurant recommendations. 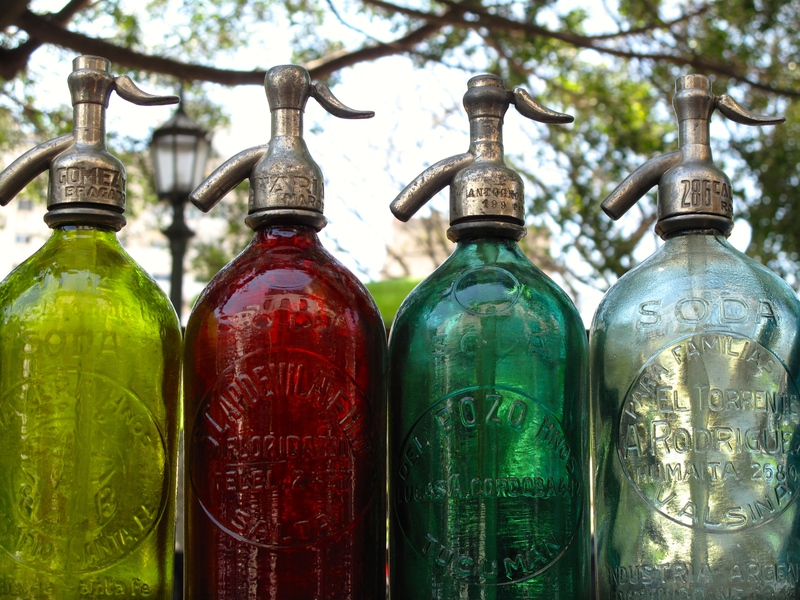 Centered around an antique market in Plaza Dorrego but extending 10 city blocks north up Defensa all the way to Plaza Mayo and at least 2 blocks in each direction, this market is massive. 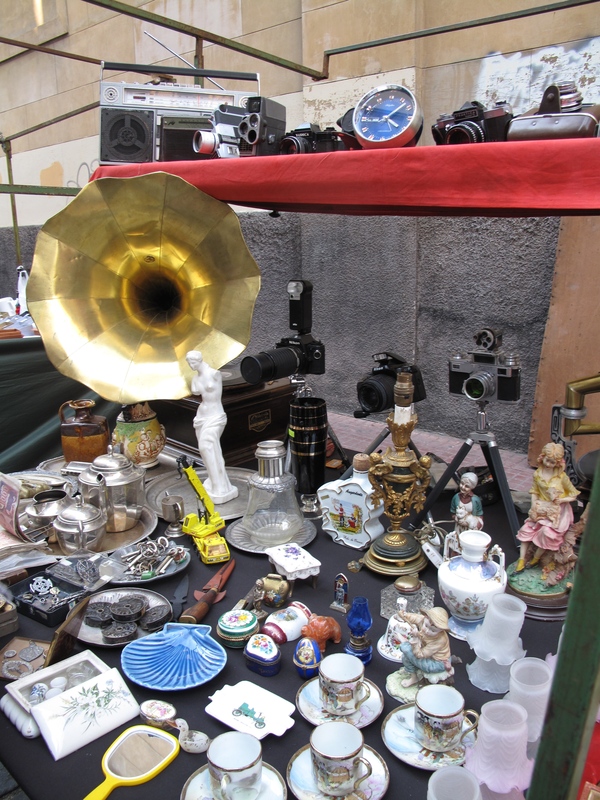 While the neighborhood has loads of fantastic antique shops Sunday from 10am until 6/7pm is market mania. 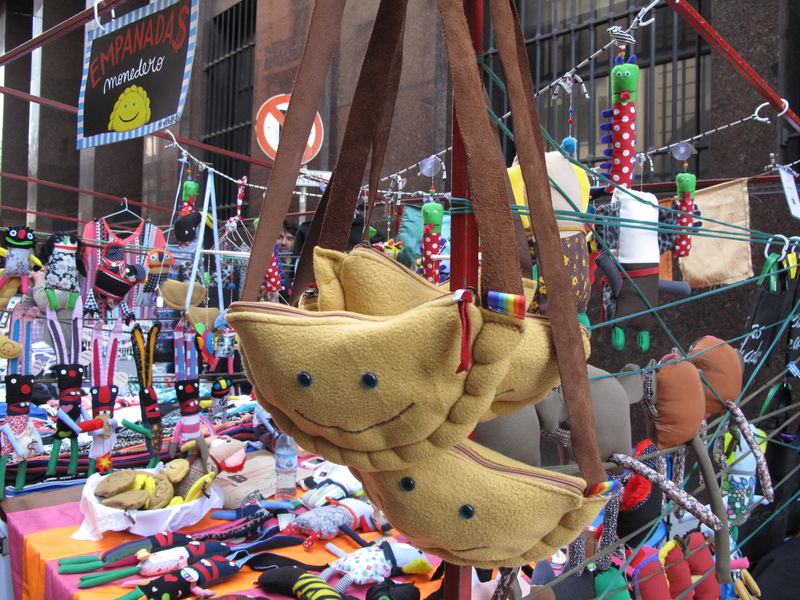 The three-day weekend vibe kept everyone tranquillo as Portenos and tourists mix for a busy market scene, an experience not to be missed.